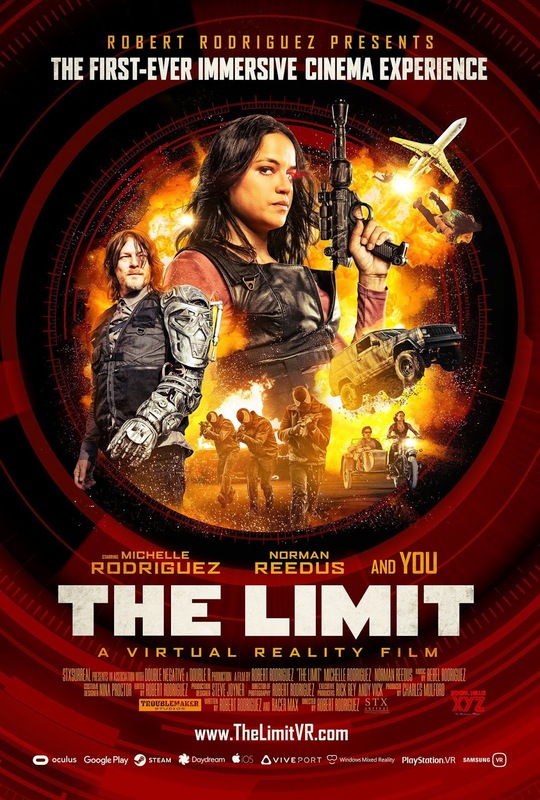 STXsurreal has announced the launch of THE LIMIT, a first-of-its kind immersive cinema experience from visionary filmmaker Robert Rodriguez, starring Michelle Rodriguez and featuring Norman Reedus. 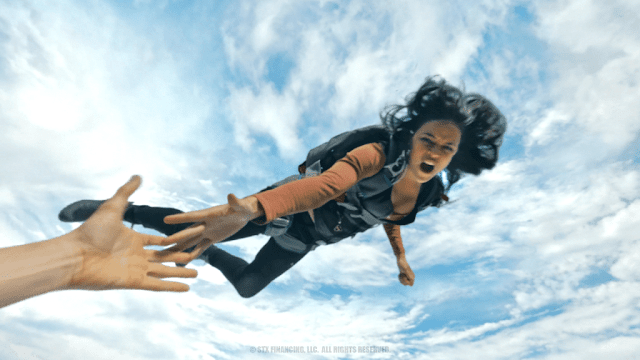 The most widely distributed paid VR film to-date, THE LIMIT is a lean-back experience captured in an all-new cinematic VR format, wider than 180 degrees, that bridges the gap between large-format movies and 360-degree video. 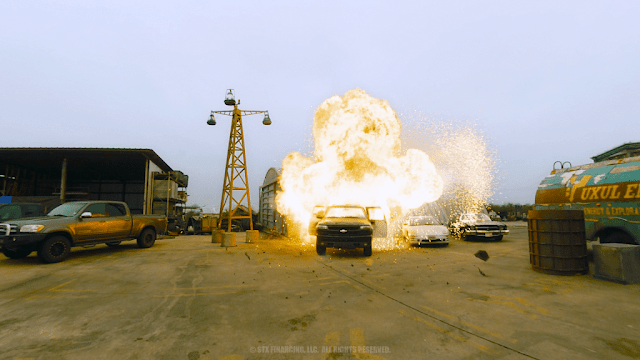 With THE LIMIT, STXsurreal has created an entirely new storytelling category by making the viewer a character in a high-octane, 20-minute action movie. "The launch of THE LIMIT is a watershed moment in VR, and gives fans of premium scripted entertainment a compelling reason to put their headsets back on," said Andy Vick and Rick Rey, co-presidents of Virtual Reality & Immersive Entertainment at STXsurreal. "In keeping with STX's talent-driven model, we enlisted Robert, Michelle and Norman, who collectively have millions of passionate fans across the globe, to break new ground and bring this category-busting cinematic VR film to life." 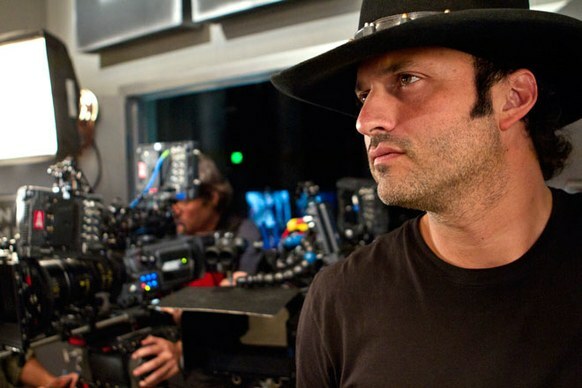 Robert Anthony Rodriguez (born June 20, 1968) is an American filmmaker. He shoots, produces, and scores many of his films in Mexico and his home state, Texas. Rodriguez directed the 1992 action film El Mariachi, which was a commercial success after grossing $2 million against a budget of $7,000. The film spawned two sequels known collectively as the Mexico Trilogy: Desperado and Once Upon a Time in Mexico. He directed From Dusk till Dawn in 1996 and developed its television adaptation series (2014–2016). Rodriguez co-directed the 2005 neo-noir crime thriller anthology Sin City (adapted from the graphic novel of the same name) and the 2014 sequel, Sin City: A Dame to Kill For. Rodriguez also directed the Spy Kids films, The Faculty, as well as The Adventures of Sharkboy and Lavagirl, Planet Terror, and Machete. Her breakout role was as a troubled boxer in the independent film Girlfight (2000), which was met with critical acclaim and earned her several awards, including the Independent Spirit Award and Gotham Award for Best Debut Performance. The following year, she starred as Letty Ortiz in the blockbuster film The Fast and the Furious (2001), a role she has reprised in five additional films in the Fast & Furious franchise. During her career, Rodriguez has played in a number of successful action films, including Resident Evil, S.W.A.T., and Avatar. Rodriguez also branched into television, playing Ana Lucia Cortez in the second season of the television series Lost. She has also had numerous voice work appearances in video games such as Call of Duty and Halo, and lent her voice for the 3D animated film Turbo and the television series IGPX. With her films grossing over $5 billion (U.S.) collectively, a 2013 Entertainment Weekly article described Rodriguez as "arguably the most iconic actress in the action genre, as well as one of the most visible Latinas in Hollywood". 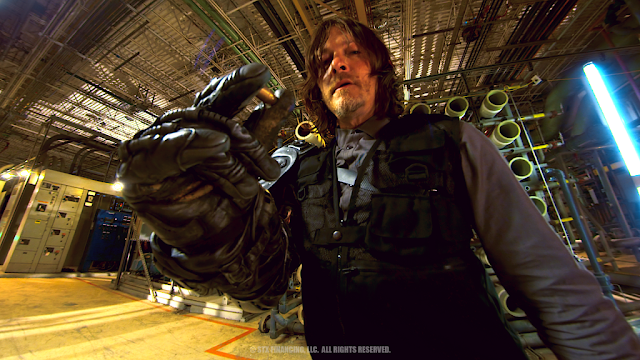 Norman Mark Reedus (born January 6, 1969) is an American actor, television host and model. He is best known for starring in the popular AMC horror drama series The Walking Dead as Daryl Dixon and in the film The Boondock Saints as Murphy MacManus. He has also acted in numerous films and television series, and modeled for various fashion designers (most recognizably Prada in the 1990s).